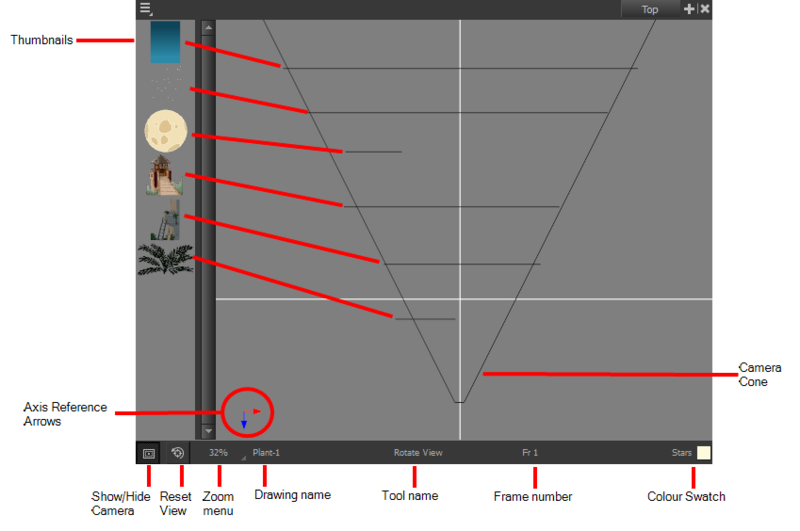 The Top view is used mainly for multiplane scenes and to position elements in 3D space. It allows you to see the scene’s stage from above. This lets the camera cone and the spacing between the elements be seen. From the top menu, select Windows > Top. From any of the other views, click the Add View button and select Top.